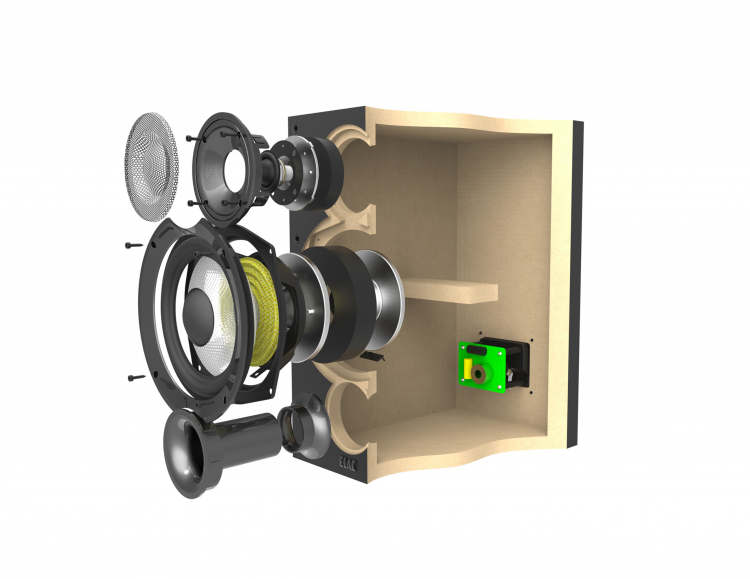 Cloth Dome Tweeter w/ Wave Guide: The 1″ silk soft-dome tweeter features a wide-roll surround that improves power handling and a waveguide that improves directivity control by eliminating cabinet diffraction inherent in traditional box enclosures. 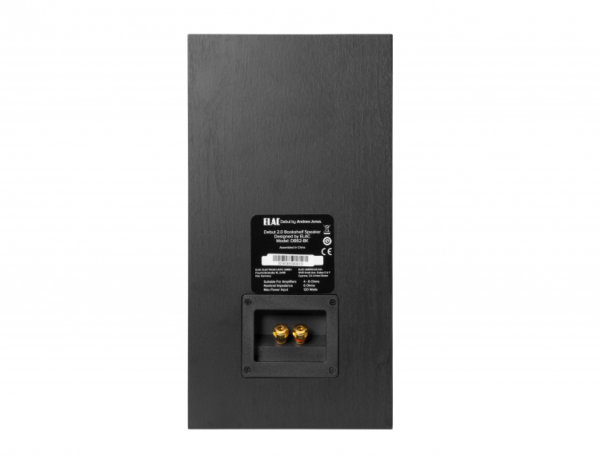 The 1″ silk soft-dome tweeter candle handle high frequencies up to 35,000 Hz. 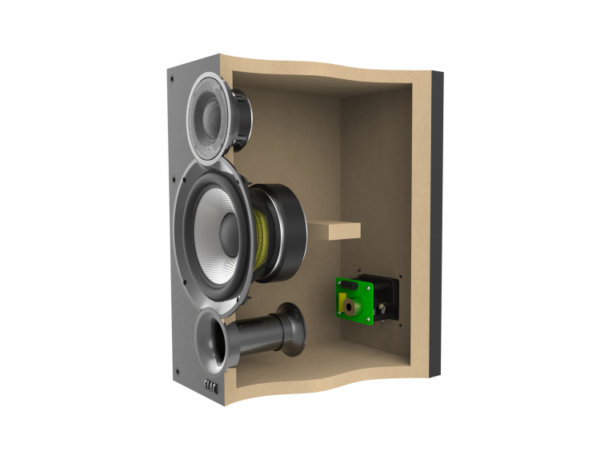 Woven-Aramid Fiber Woofer: The bookshelf speaker features a single 6.5″ woven aramid-fiber cone woofer with rubber surround, oversized magnet, and vented pole piece. 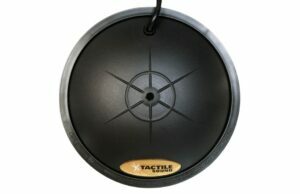 The revised shape of the aramid cone offers even greater stiffness and damping; far superior to polypropylene or paper. 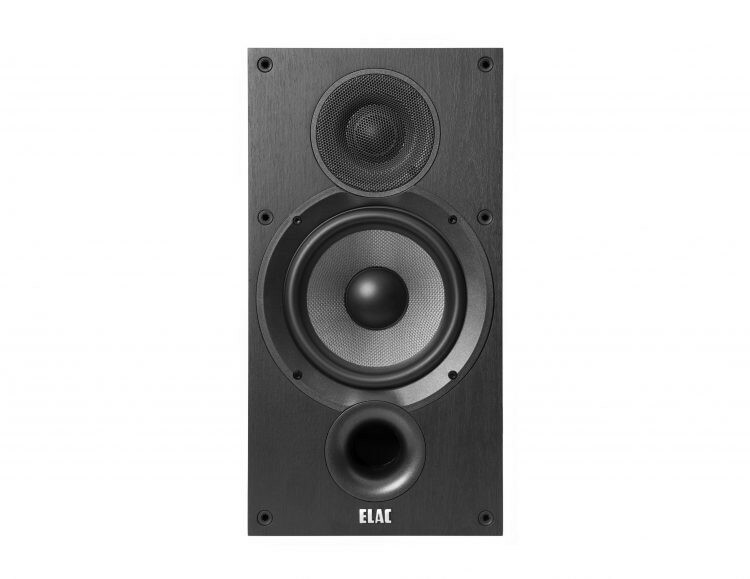 The added strength allows more flexibility in design to achieve a smoother, extended low-frequency response. 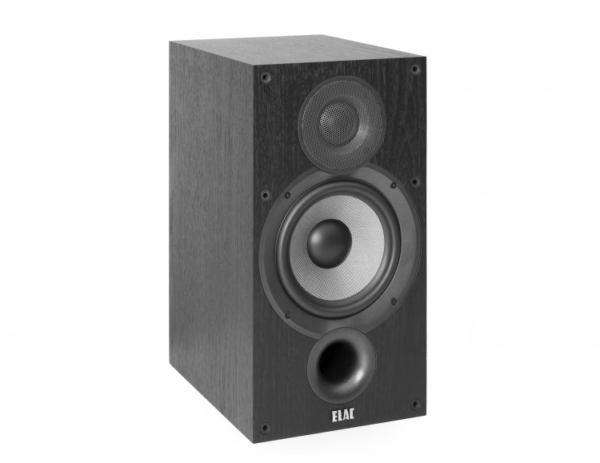 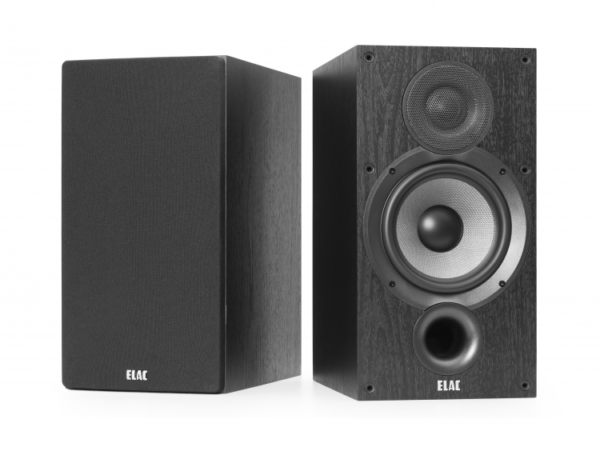 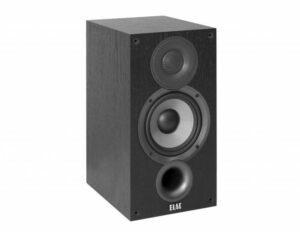 Bass Reflex MDF Cabinet: The Elac Debut 2.0 series DB62 bookshelf loudspeaker uses a bass reflex cabinet with a front-firing flared port for greater efficiency and bigger bass response. Moving the bass port to the front of the cabinet means placement against walls or in bookshelves won’t compromise performance. 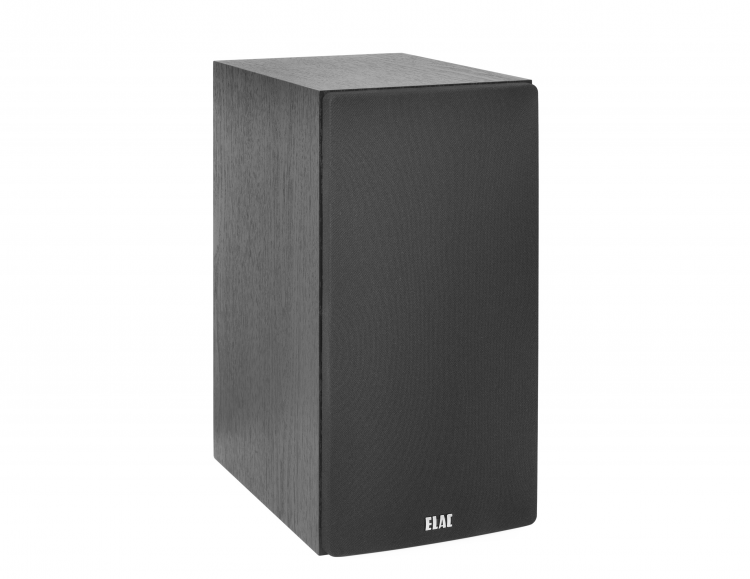 The cabinet is made of MDF (Medium Density Fiberboard) to strengthen and stiffen the cabinet, helping minimize unwanted vibrations that can discolor music or movie content. The MDF outer walls of the cabinet are covered with a black ash wood-grain vinyl finish. 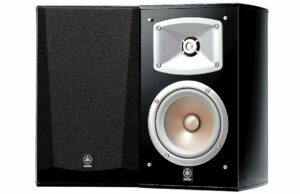 A detachable cloth grille is included. 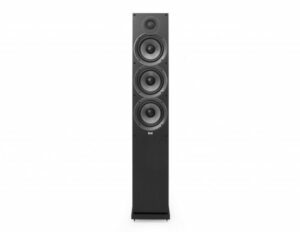 2Ch Stereo or Front Speaker Placement: For optimum stereo imaging, place the speakers so that an equilateral triangle is created between the speakers your main listening position. 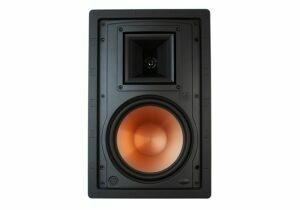 You can also angle (“toe in”) the speakers towards the listening position to gain a more focused central image.